1) Since it’s beginning in Montreal, Canada in 1984 Cirque du Soleil (Circus of the Sun) has brought innovations to the circus world. 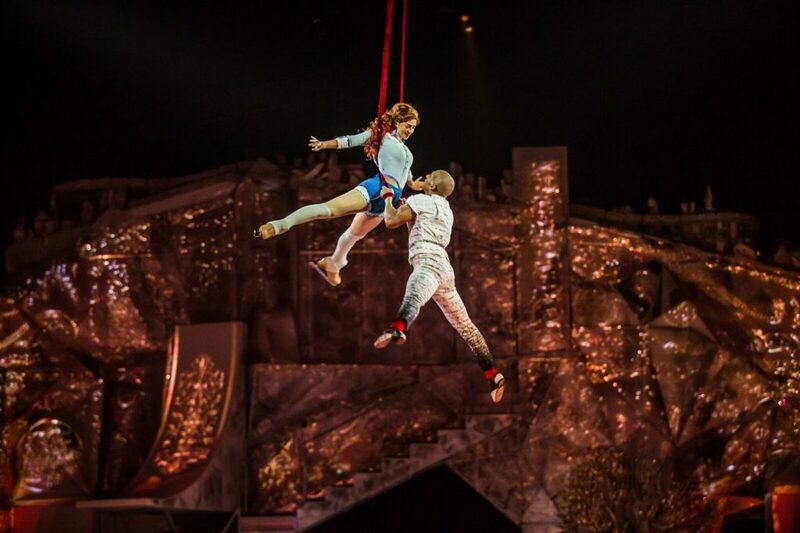 Cirque shows utilize circus themes from around the world, employing continuous music and performers who additionally act as stage hands to change the set. Their colorful, spectaculars are created upon a central storyline. Now Cirque is taking up a notch by putting their creations on ice in Crystal. They have combined the acrobatic skills that the company is known for with world-class ice skaters. Crystal is the name of the show’s central character who is on a journey towards empowerment. Enter a dreamlike world with Crystal as her creative imagination transforms the ordinary into the extraordinary. In Cirque productions the sets, costumes, music, and effects are almost as amazing as the performers. Maybe the Penguins can sign a few Crystal skaters to assist Sydney Crosby in scoring even more goals. 7:30 p.m. Cirque du Soleil Crystal continues through Sunday at the magical ice palace (PPG Paints Arena). 1001 Fifth Ave., Uptown. Cirque du Soleil Crystal beautifully combines acrobatics and ice skating. Photo: Matt Beard. 3) It’s Pittsburgh Restaurant Week! Why is this important to you? More than 50 Pittsburgh restaurants are offering extra special deals through January 21, including multi-course meals or $20.18 specialties. Some of the participating restaurants are: The Twisted Frenchman, Lidia’s Pittsburgh, The Lemont, Revel + Roost, Bangkok Balcony, Istanbul Sofra, The Capital Grille, Silk Elephant; or, The Whale; Eddie V’s Prime Seafood, The Wooden Nickel, Vue 412, and Avenue B To view all participating restaurants and for more information, visit Pittsburghrestaurantweek.com. Let’s get out there and support all our great Pittsburgh restaurants!